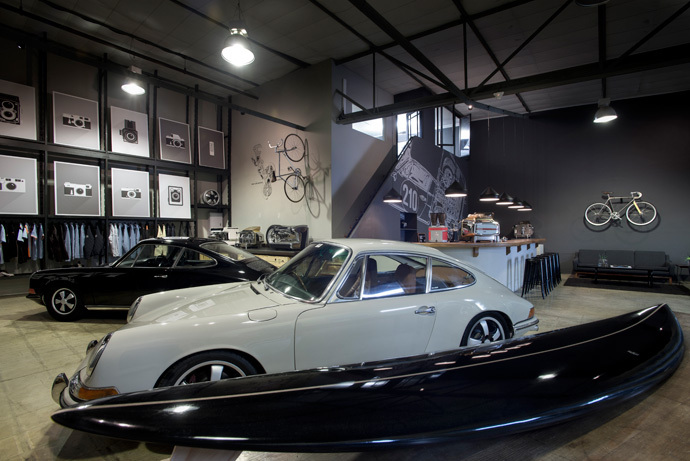 Businessman and Porsche fanatic Gavin Rooke has partnered with Culinary Equipment Company managing director Stefan Gutstadt to establish a dynamic showroom where great coffee is served. 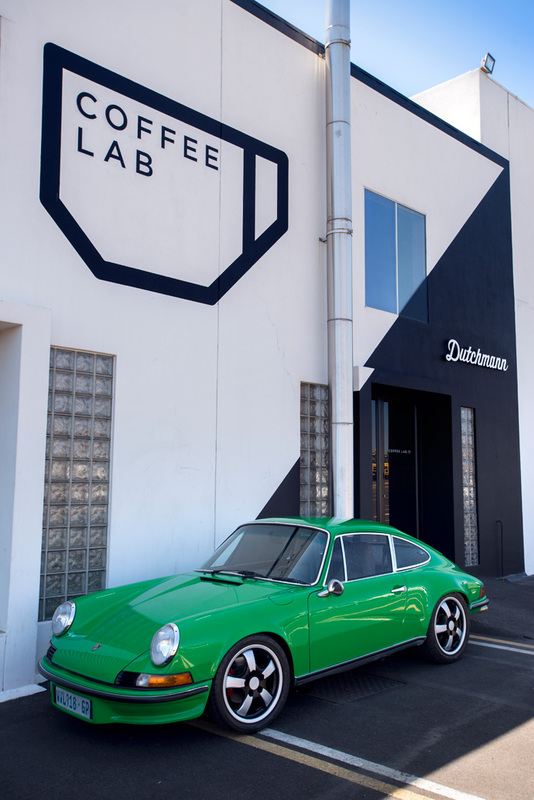 Gavin Rooke is a lover of hot coffee, great design and classic Porsche roadsters – not necessarily in that order – which is what prompted him to house his design company, Dutchmann, his passion project, Porsche Weekend Racer Series, and a purveyor of fine coffee, Coffee Lab, under one expansive roof. We chatted to him to find out more. 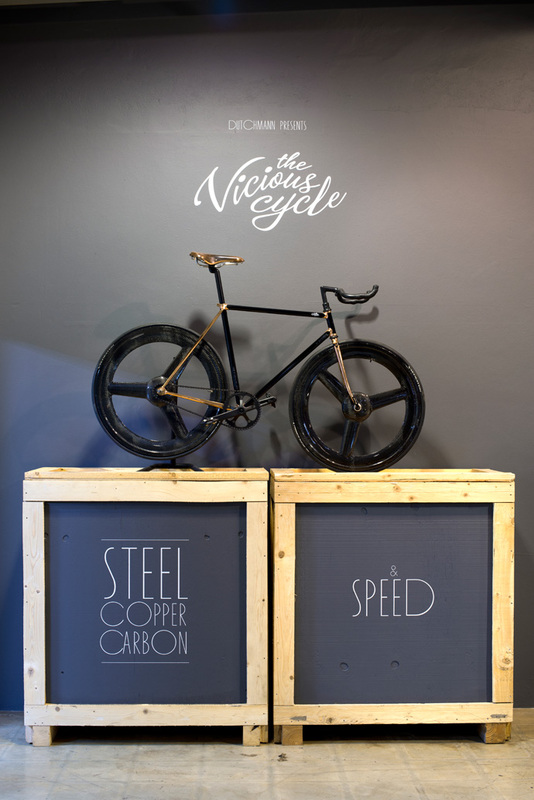 My company Dutchmann has been producing a range of design pieces since 2012. Since the majority of our products are exported, our focus has been on building a strong online presence and community. As the business grew I felt it was time to show our products in a single physical showroom and commenced the search for a space that would also serve as our design office. 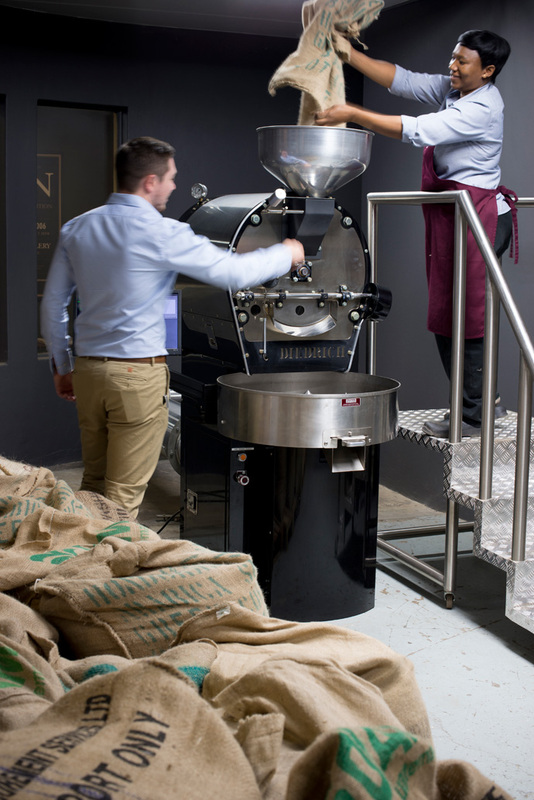 I identified a suitable space inside the Culinary Equipment Company’s coffee roastery and got talking to Stefan Gutstadt, who runs the roastery. We decided to collaborate – with them focusing on serving high-end coffee and us focusing on design objects and cars. Where does the concept of the Porsche Weekend Racer Series come from? Our core focus is on merging contemporary design with iconic objects. In the late 1960s, as Porsche launched its now iconic 911 model, the factory supplied Rally Kits, which included a range of high-performance optional extras to private owners. These privateer rally enthusiasts would compete on the track on the weekend while still using their vehicles for daily commuting. This notion led us to develop a contemporary Porsche Weekend Racer Series, now comprising a wide range of classic Porsches that deliver safe, reliable, high-performance motoring. 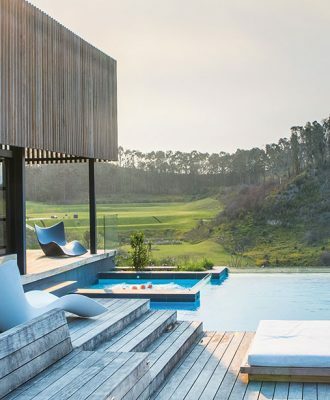 How do form and function come together in this space? The space is an active coffee roastery and serves as the office from which we produce all our commercial design work. It is effectively a working space into which we have integrated a design gallery that is open to the public. The coffee was there first. Usually coffee bars are added to spaces and showrooms as an afterthought, whereas this is a true industrial working space. What was your approach to the design and layout? Our primary objective was to retain the functional nature of the warehouse space, but add a welcoming, lounge-type feel that would make people want to linger while drinking coffee and perusing design objects. The first step was to consider the working areas and ensure that we could be productive in the space. Then we focused on how to make the space welcoming yet unique and interesting. The cars are integral and serve as the central focus point, but we purposely included a select range of functional items, including coffee machines, surf-boards and a small clothing range. 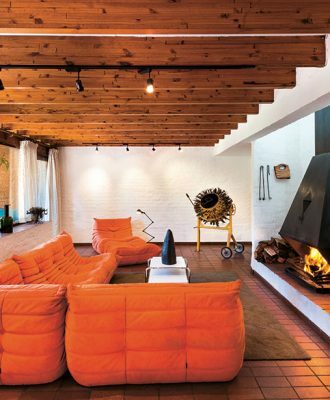 Without restraint a space can become eclectic, so we’re happy with the end result. 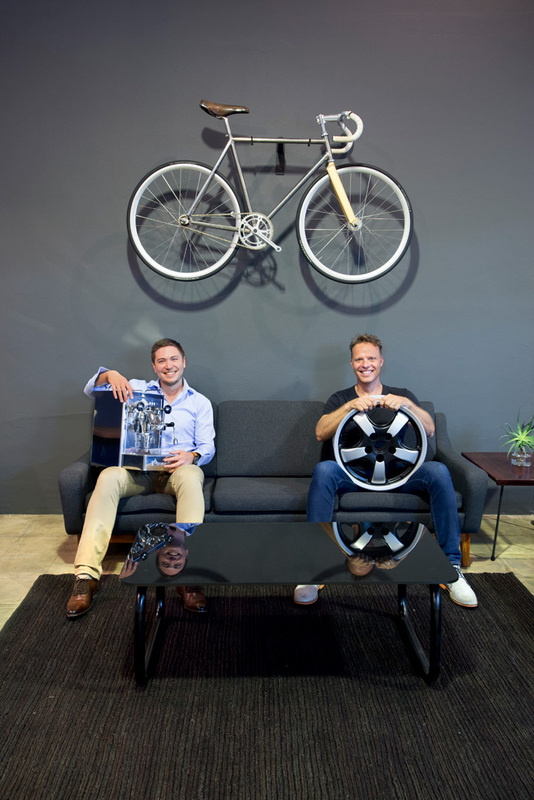 It’s also a relatively dynamic space where we launch new car models and host coffee tastings and design talks. It serves as our office and a commercial coffee roastery during the week, and then opens to the public on the weekends to serve as a showroom and coffee bar. We use the showroom to launch all our new cars, and will continually add to our selection of design objects. We will shortly launch a series of coffee tastings and barista workshops by Coffee Lab, and to this will add breakfast drive events managed by existing automotive communities.